What Are the Main Ways That People Are Injured on Cruise Ships? Many people have a very enjoyable, relaxing time on cruises every year, sometimes even bringing their families or making a cruise an annual vacation destination. However, other passengers can suffer an accident or illness while on a cruise that can cause them to experience life-long pain and significant changes to their lives. Because of the complexities of the laws governing injuries while on a cruise, hiring an experienced maritime attorney is essential if you need to pursue a clam for compensation following a cruise ship accident. What Are Common Causes of Accidents on Cruises? Slip and fall accidents. Slip and fall accidents are one of the most common ways passengers are injured on cruises. Luggage in hallways, wet and slippery floors, defective stairs, and hidden changes of elevation throughout the ship are a few of the reasons that people suffer serious injuries in these accidents. Food poisoning. When food is mishandled or not prepared properly, people who rely on the cruise staff to provide their meals and snacks could contract food poisoning, which can cause serious medical conditions if not properly treated. Swimming pool accidents. Passengers can suffer slips and falls on slippery pool deck floors or defective steps leading into the pool, swimming injuries, or drowning when swimming in pools provided by the cruise ship. Elevator and escalator accidents. When an elevator or escalator is not maintained or malfunctions, passengers can slip and fall or get body parts trapped within the elevator or escalator, resulting in their suffering serious injuries or death. Recreational activities. Passengers can become injured while participating in recreational activities such as rock climbing, sky rides, and water activities offered on a cruise. 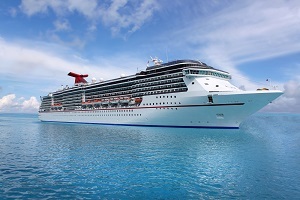 In some cases, the victim may have a products liability claim against a manufacturer if the equipment was defective, as well as a claim for compensation against the cruise company. Legionnaire’s Disease. This is a pneumonia-like illness caused by bacteria that is often spread in pools and hot tubs. In addition, passengers can contract other bacterial illnesses while on the boat. Fires. Passengers can suffer serious burns, disfigurement, and scars if injured in a fire on the cruise ship. A fire can also increase the risk of injury from other unsafe conditions aboard ship, or impact the ability of the ship’s limited medical facilities to deal with other injuries. Drowning. Passengers can drown in a swimming pool accident, if they fall overboard, or if the ship is severely damaged and takes on water. Assault and sexual assault. Unfortunately, passengers are in danger of being assaulted and sexually assaulted by crew members or other guests. This can cause the victim to suffer both physical injuries and life-long emotional trauma. Pursuing a claim for compensation following an accident on a cruise ship is much different than a car accident claim. State law may not apply due to your contract for the cruise or jurisdictional limits. Some maritime laws, such as the Jones Act, would only apply to cruise ship employees. However, there are many maritime laws could give you a right to compensation for your injuries. An experienced maritime attorney is essential to help you navigate through the process of filing your claim. To learn how we can help you obtain the compensation you deserve and get your questions answered, call our office to schedule your free, no-obligation consultation.